In 2019, our trading partner The Guild, will be celebrating 21 years in business and as part of their commemorative celebrations, they decided to established 21 gifts of £500 each, to be awarded to charities nominated by their clients. Teresa Osborn of Fomac, nominated CRISIS and was delighted when The Guild called to say CRISIS had been selected. Fomac decided to match The Guilds donation and were delighted to be able to make a joint contribution of £1,000 to this great organisation. 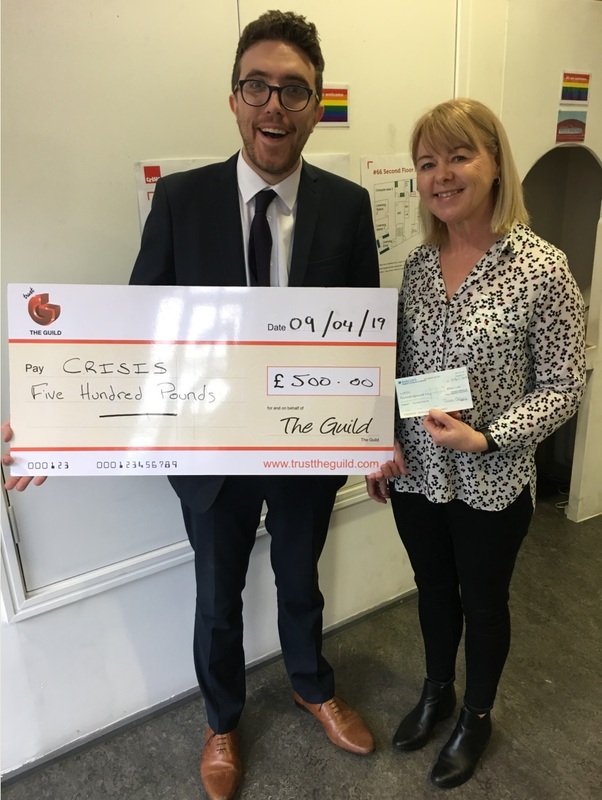 CRISIS invited Teresa and Peter Smallwood of The Guild, to attend their SKYLIGHT Centre in London to present the cheques and have the opportunity to see first-hand the amazing work they do for the homeless. CRISIS want to stamp out homelessness for ever and they not only assist their members finding affordable housing, they are continually campaigning to find long term solutions to resolve the housing crisis. They also offer a range of support services to ensure their members never become homeless again. This includes Training to assist finding new employment opportunities, CV writing, Language and numeracy skills and a host of complimentary services such as Optician, Podiatry, Music, Mindfulness and counselling. Teresa found the whole experience enlightening and humbling. It was a stark reminder that there are 1,000’s of people out there who for whatever reason, have fallen on hard times and found themselves without a roof over their head. Whether it is donating or volunteering your time, please do whatever you can to stop this CRISIS from getting any worse.